Before and after projects are certainly favourites here on homify, and we definitely love presenting you with the ones we find most interesting. Today we have another treat for you in store with a renovation that is sure to make you sigh with nostalgia and a pleasing aesthetic transformation. The Auszugshaus Reichenau is a renovation project undertaken by the architects, Junghhans + Muller, based in Haselbachtal, Germany. 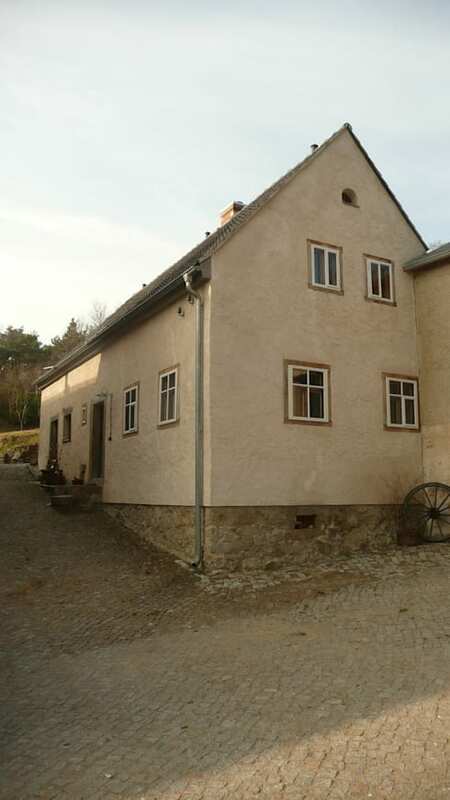 This building is, in fact, one of the oldest in the municipality of Haselbachtal, and undertaking a renovation of this was surely an enormous and precarious task. However, it seems like the risk was well worth taking, as the payoff is a beautiful modern home with some nostalgic elements to treasure. Join us to take a look at the process of this old farmhouse's transformation and be inspired by what can be achieved with vision and expertise. 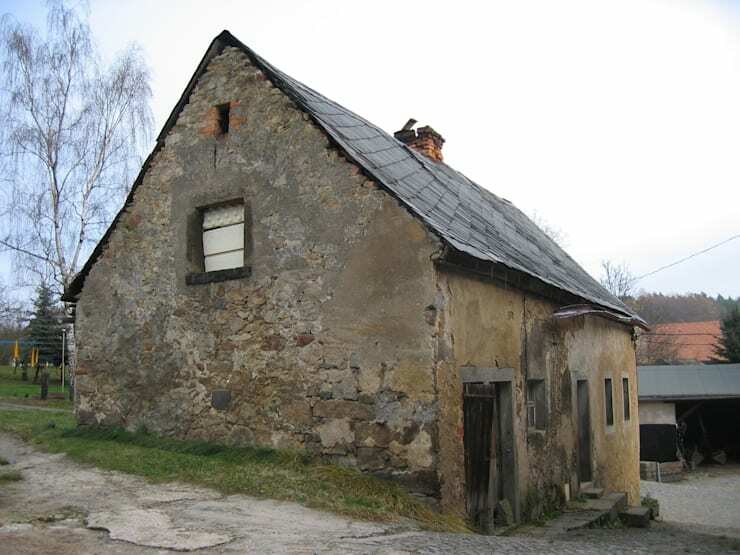 Here is the old farmhouse in question, before the renovation took place. As we can see from this image, the building was badly damaged due to a lack of maintenance. The plaster had been worn down on all sides, whilst the original stone also suffered significant damage. We can even see that the roof of the building had started to give in at certain spaces, leaving the entire structure insecure and prone to leakage. The overall image for the building is far from appealing, as all of these deteriorating elements combine to make for a damaged and unattractive whole. Now, won't you agree that this looks like an entirely different building in front of us? This is in fact the very same dilapidated farmhouse we saw in the previous image, but with an entirely new facade to update the structure for residential purposes. The architects went ahead and re-plastered the exterior, whilst keeping the original stone structure of the building in tact. This allowed for the retention of the rustic elements of the old building, while also bringing the home into the contemporary age. The light salmon colour of the newly plastered sections also suits the old stone walls very well, and provides a soft and rustic appearance. In addition, the entire roof had been replaced in the renovation, solving the problem of leakage to the interior. Now we'd like to take a minute to look at the interior of the farmhouse before it's renovation. However, instead of looking at the structure or arrangements of rooms, we rather take a closer look at the details. Here we have a glimpse of the interior of the stone walls of the building, which had been kept in tact and maintained slightly better than the exterior of the structure. 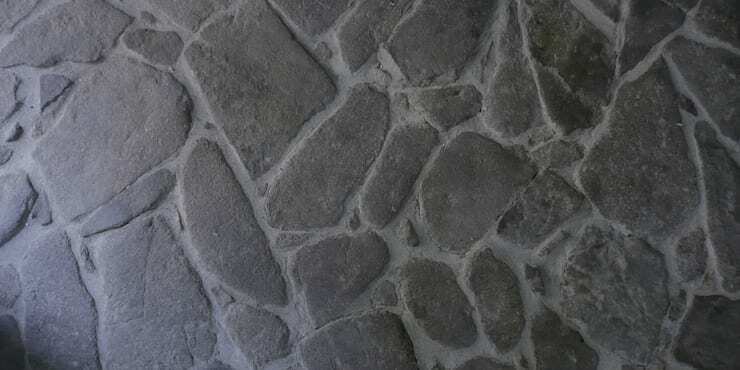 Here we can see the inherent beauty in using stones in construction, and these walls are at once rustic and romantic, providing a sweet sense of nostalgia for ages gone past. This was a positive element the architects had to work with, and they did, in fact, choose to retain this feature in the renovated design. This after image provides us with a glimpse of the interior living spaces of the house after the renovation had took place. This is, once again, rather a look at some finer details of the design, rather than a generalised or bird's-eye view. 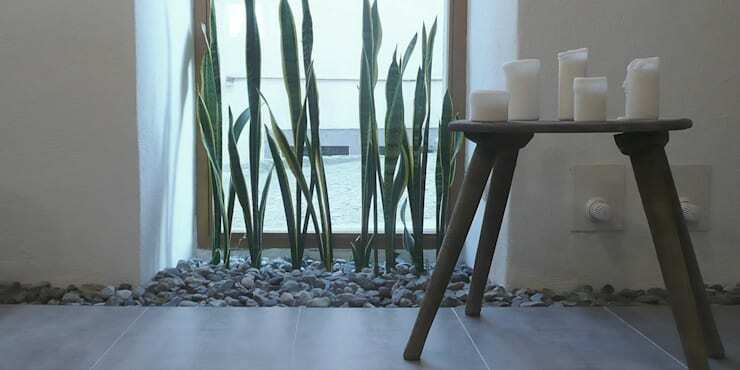 This picture gives us some insight into the interior design style of the home, and we can see that there is heavy reliance on natural features. This is a good thing, however, as these natural elements make for a warm and gentle theme. 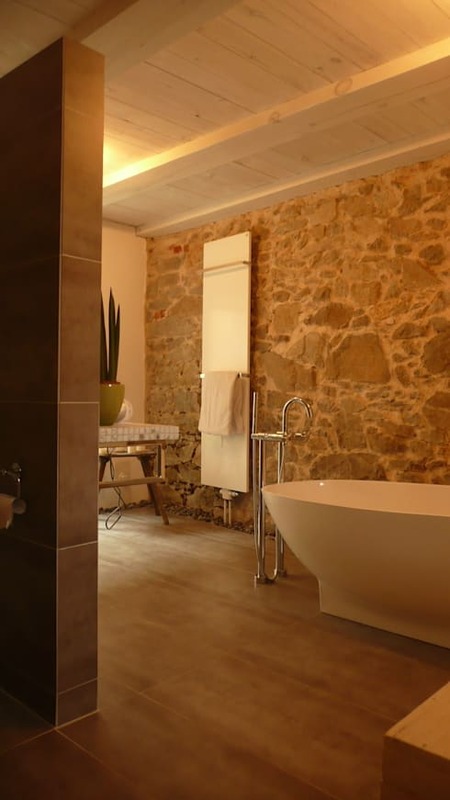 We can also see how these furnishings and decorations tie in with the natural stone wall of the interior, thus working with what is already there instead of starting from scratch. Lastly, we wanted to stop and take a closer look at one of the rooms in the newly renovated interior of the home, and we chose the bathroom. This space immediately strikes us as a warm, comfortable and relaxing area. The perfect combination of characteristics for a bathroom! Once again we can see the original stone wall to the side, which lays the foundations of the rustic and relaxing atmosphere. The wooden flooring and stylish but simple furnishings complete the look to make it a room worth coveting. Now, for another recent and inspiring before and after project, take a look at this: House that went from bland to beautiful! Let us know what you thought of this renovation project in the comments!